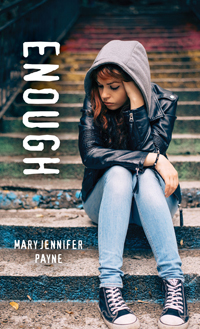 Biography: Mary Jennifer Payne is a graduate of the Humber School for Writers' Summer Workshop in Creative Writing and a special-education teacher at Nelson Mandela Park Public School in Toronto, Ontario. Her writing has been published in journals, anthologies and magazines in Canada and abroad. Since You've Been Gone, her first full-length young-adult novel, was published in 2015. For more information, visit www.maryjenniferpayne.ca. Sometimes you have to look out for yourself.